Dr. Prematee Sarwan and her compassionate staff never want insurance coverage and financial burden’s to get in the way of getting the dental care that you need. Visiting the dentist isn’t an optional part of healthcare — it affects the health of the rest of your body as well as your comfort and general success in life. At Mystic Oaks Family and Cosmetic Dentistry, we do everything we can to help all those in Wesley Chapel get the dental care that they need. Dental insurance can seem confusing, especially when it comes to what they will cover and what they refuse to cover. Our billing staff would love to help you better understand what procedures are covered by your insurance policy and how to get the care that you need. 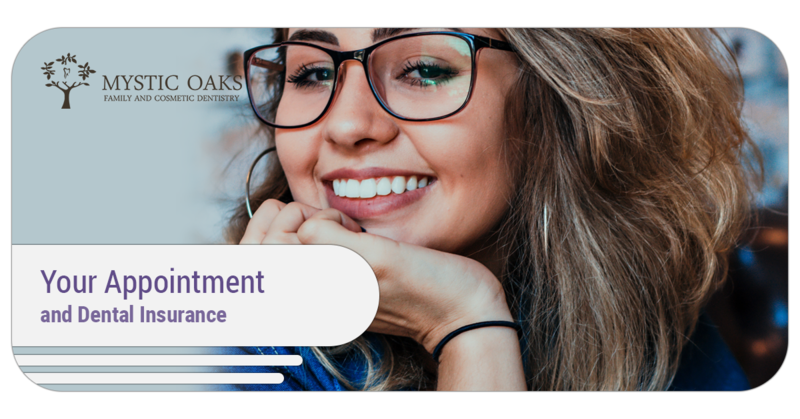 If Mystic Oaks Family and Cosmetic Dentistry is out of network, we can help! We can submit the appropriate forms to your provider. We are working to expand the insurance providers that we are “in-network” with, so please feel free to contact us to request our current status within your network. We accept check, cash, and major credit cards as well as Care Credit which provides payment plans with 0 percent interest for 12 months. We have discovered that many patients seeking dental care in the Wesley Chapel area are unable to obtain dental insurance. We never want this to keep you from receiving the care you and your family need. As a result, we offer a Dental Savings Plan! High-quality dental care should never come at an absorbent cost. Learn more about the Dental Saving Plan we offer and make an appointment with us! Our staff is happy to help with any insurance questions you may have, even if you are not our current patient.